This is a dome, not. The church of Saint Ignatius in Rome is one of the 30 Catholic Churches in the city. 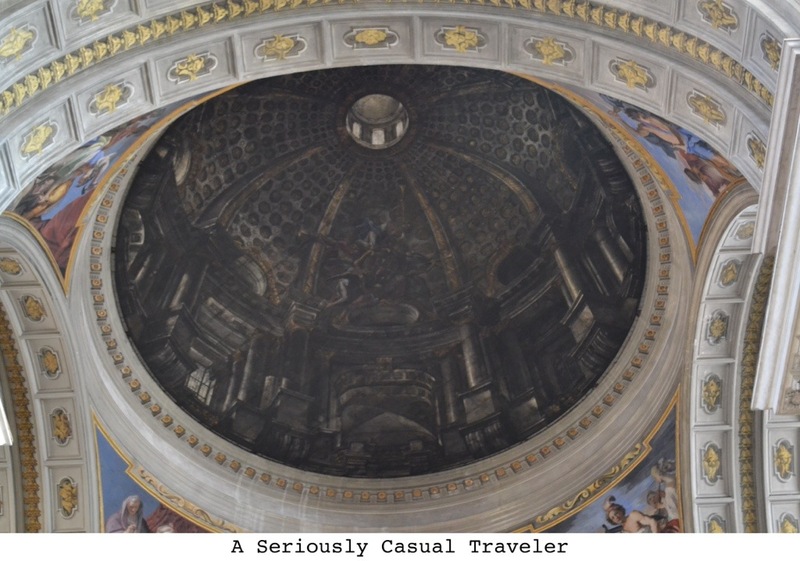 Like all the other churches, its ceilings forced my eyes wide to take in the ornate frescos and three dimensional marble carvings. That’s nothing special for a church in Rome. If this church was just another church I wouldn’t take the time of day to post this. Seriously. Rome isn’t exactly in a Catholic Church drought with its abundance of conclaves. Catholic Churches are the Starbucks of Rome. There’s one on every corner. At first, Saint Ignatius church didn’t have any noticeably notable qualities. Deven Hill, my best friend, has been studying the geometry of Roman architecture in Rome for the past 5 weeks and knows a lil’somethin-somethin about the city. He brought me to Saint Ignatius Church to show me what i’m going to show you. 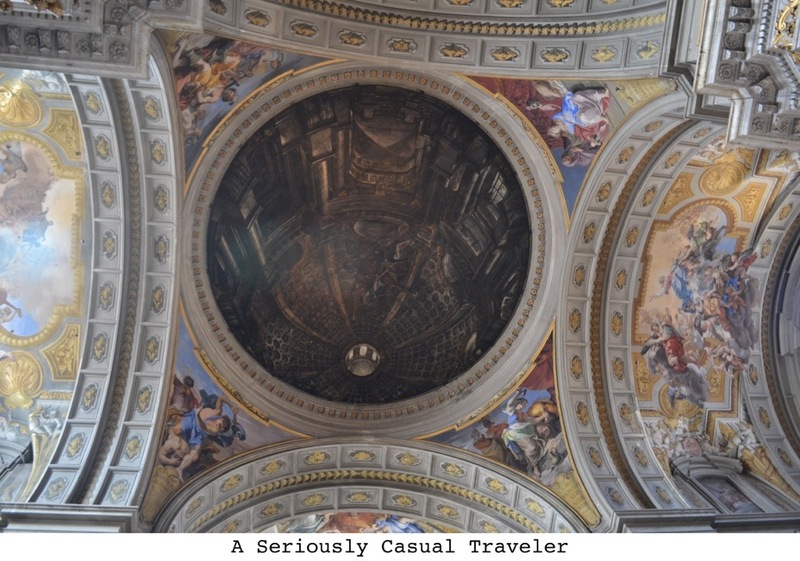 Looks like a normal ceiling… right? Does it still? Look closely at the dome. This picture is from the same angle. Here’s a picture from another angle. That was from almost directly below the dome. Thats’s right. That was only a painting. 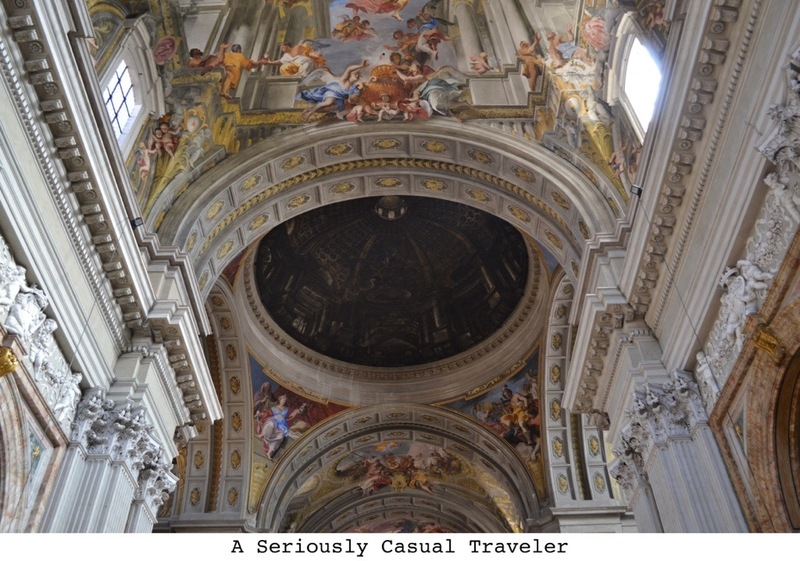 This entry was posted in Europe and tagged architecture, fun facts, illusions, Rome, traveling. Bookmark the permalink. 1 Response to This is a dome, not. What a studious blogger. Way to educate the masses, about the beauty of my heritage gratzi’. How about a blog on the Domo and the Sixteenth chapel?